FROM Vantage Point MBA Admissions Blog: Don’t Quit Your Day Job! The post Don’t Quit Your Day Job! appeared first on Vantage Point MBA. FROM Vantage Point MBA Admissions Blog: Breaking News – HBS Releases Early Deadline & Essay Prompt! If you’re considering racing to this finish line, here are some thoughts on how to approach the essay. As in years past, HBS continues its tradition of having open ended essay prompts. This year, however, they’ve added a significant twist and have limited the response to a single word. Because, of course they would. Applicants who succeed with this prompt will keep their responses simple, and concise. In terms of length, we recommend a minimum of 2 characters and a maximum of 27. For fans of Scrabble (we’re looking at you “QI” for 11 points), this is really your moment to shine. Avoid nouns. Just don’t go there. Adjectives are hit or miss here. If your application shows a strong career trajectory, then a word like “fast” might work. However, it might imply arrogance, or irresponsibility. An adjective like “methodical” might be a better match. It implies a degree of comprehensiveness, and the right balance of getting things done as a team player. The risk here is that it really depends on how the admissions officer is feeling at that particular moment of the day, and his or her gut response to your word. Verbs are powerful. Do you have a record of delivering projects on time and crushing the results? If so, “expedite” might be your best option. Are you cheerful, a bubbling personality? If so, “dance” might best describe you. 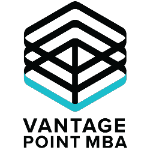 If you’re preparing for your real applications in the fall, as always, the team at Vantage Point MBA is here to help get your applications as strong as possible. Each year our team of seasoned admissions consultants helps clients from all types of backgrounds build their stories, identify the right schools for them, work with recommenders, and nail their interviews. That’s why our clients have a 3X higher admissions rate at the top schools than average. That part of this post is, in fact, not a joke! The post Breaking News – HBS Releases Early Deadline & Essay Prompt! appeared first on Vantage Point MBA. Hey everyone! We wanted to share a great tool we developed to help MBA applicants such as yourselves compare the top programs side-by-side along key qualities such as average GMAT score, average years of work experience, % admitted, and a host of other stats. We've done the heavy lifting for you and compiled key data points that will help you understand how the top programs are different from one another and, ultimately, help you decide where you should apply. FROM Vantage Point MBA Admissions Blog: How Much Time Does it Take to Apply to B-School? But it’s not! You can guess where we’re going with this. The answer is that you need to start right now. Seriously, the amount of time you give yourself to put together a really strong pitch, presentation and overall application package has a very strong positive correlation with your potential for success. Last year, on average, our clients started working with us five months before the deadline (and some started a whole year in advance). Here’s how this works: if you start now, you can tackle all of the “low hanging fruit” before the applications are released in the summer. You can take the GMAT or GRE, research and visit schools, talk to alums and current students, get your resume in MBA application condition, identify and start prepping your recommenders, research and refine your career goals, and get your story in solid condition. If you need a starting point, here’s a link to our Comparison of the Top MBA Programs. If you tackle all of that before the applications come out over the summer, then you can really hit the ground running and be efficient with the essay writing process, which is the heavy lifting aspect of this process. On average, we see applicants writing 10-20 drafts of their essays for the top programs. Our double admits this past year (people who got into HBS and Stanford) wrote a minimum of 12 drafts of each essay (the max was 27 in case you’re wondering). Why does it take so long? Because iteration is actually part of the process of making your applications, especially your essays, as good as they can possibly be. Here’s a general example. Draft one of an essay is where you take a shot at one of the themes you had in mind. Draft two is about taking that story or theme up a level so that you are focusing on one clear idea. Draft three is refining that content so that it’s going to fit within the word limit. Draft four is about shuffling the flow of the essay so that the reader can more easily “skim” and still understand the power of what you’re trying to say. Draft five incorporates more of your feelings and the “why” behind the stories in the essay. Draft six incorporates comments that your colleagues gave you about how you’re coming across. Draft seven is where you refine the way that you explained your key stories to make them more “to the point”. Draft eight is where you add on a powerful ending that helps explain your overall motivations. And so on, and so on. This process varies by person, but in general, plan on the essay writing phase taking 25+ hours per school. Don’t rush this – it’s critical. So back to our main point: if you know that heavy lift is coming, plan for it. Start now and trust me, you’ll be glad you did. You’ll feel more prepared and more confident when you finally hit the submit button in the fall. Below is the timeline that we generally recommend (showing round 1 as a proxy). The post How Much Time Does it Take to Apply to B-School? appeared first on Vantage Point MBA. The post How to Have Impressive Extracurriculars When You’re Busy appeared first on Vantage Point MBA. FROM Vantage Point MBA Admissions Blog: Which MBA Program is Right for You? Use Our MBA Fit Tool to Find Out! Selecting an MBA program to apply to is about more than just rankings and scores. Your “fit” with a particular program and school – both in terms of what you’re looking for and what they’re looking for – is extremely important. Use our MBA Fit Tool to get an initial list of schools that may align with how you’re looking to spend the next two years. Note that this is meant to be a starting point, not a final answer. We synthesized a lot of information, including our own opinions, as a way of helping you triangulate on some of the key factors for selecting a business school to apply to. Please note that this list only covers the top 20 US schools as that’s our area of expertise at Vantage Point MBA. Want to discuss? Request an initial consultation to speak with us about your results! The post Which MBA Program is Right for You? Use Our MBA Fit Tool to Find Out! appeared first on Vantage Point MBA. Picture this: in an interview you’re asked a question about something that went wrong in a past job. Instead of simply explaining what happened, you find yourself shamelessly spinning a story about how you had a feeling all along that whatever “it” was would fail but your hand were tied. In different versions, this propensity to preserve our egos, hide our vulnerabilities and only talk about our wins shows up in many MBA applicants that we see. You want to be competitive, so you only talk about the biggest, best and highest profile projects that you’ve worked on or led. Yet, you forget that those wins don’t always tell the reader much about your personality, how you’ve grown (or approach personal growth), how you take feedback, and how you evaluate yourself and the success of your decisions. You don’t want to write a whole application about all of your shortcomings and development needs, but this article is meant to inspire you to look deeper (and even into your past failures or vulnerabilities) for the best leadership stories that can help you stand out from other applicants. When you read the first paragraph, you might have said to yourself “yeah I’d never do that”. But it’s more commonplace than you may initially think – for high achieving people, you have often been held to such a high standard for so long that you’re afraid to fall off of your pedestal by admitting that you were wrong or that you didn’t understand or didn’t do something correctly. It’s engrained in us to not show weakness, especially in certain high intensity careers. In fact, one of my first managers constantly recited the motto “never admit defeat” (meaning never say you were wrong). But when it comes to your leadership style, and the way you portray yourself in your MBA applications, being “vulnerable” in the right ways can signal a level of maturity and leadership potential that far surpasses what admissions directors are used to seeing. Being vulnerable can be much more of an asset than a weakness as you seek to demonstrate your leadership potential! Zooming out, you may be saying to yourself “but I have limited space – why would I focus anything on a failure or weakness unless directly asked?” After all, you want to focus your application on highlighting how awesome you are and all of the examples to prove it. But consider this – being able to show that you learned, took feedback, grew, and turned something around is actually a very powerful message that can support how awesome you are as well. If you want further proof that this matters, ask Kellogg why they have continued to ask the question “how have you grown…” as part of their essay requirements. Kellogg asks directly but most schools are looking for and assessing this as well. Here’s an example of how this could play out so you can see what I mean here. I had a client last year who worked at a very cool (and very large) e-commerce company that you can probably guess the name of. She had several cool leadership stories from her different roles at the company, but honestly they didn’t feel all that unique compared to her peers at other, comparable firms. Then during a brainstorming session we hit a gold mine – she started telling me a story about how she’d rebooted not only herself, but also her team, after a pretty epic project failure. She’d been reluctant to talk about the project in her applications since the initial failure could come across as reflecting poorly on her (and she’d have to admit her role in it). However, as we explored more, we realized that the risk of admitting a failure was much smaller than the amazing opportunity she had to demonstrate a deep sense of leadership, self-reflection and overall maturity. The overarching project failure wasn’t entirely her fault – she was working on a small team led by someone who wasn’t a great manager; but she also admits that she didn’t speak-up as the ship was going down. Given how her org was setup, she probably could have done something. We started talking about all of the reasons why she hadn’t acted – fear, doubt, lack of confidence, etc. Then she explained how she course-corrected. The person who had been leading the team was asked to step down. The project resources were scaled back. And my client, despite being fairly young, was asked to lead the new, even smaller team to see if they could make it work (a last ditch effort). And you guessed it – she made it happen. She got creative, created a culture of consistent feedback on her team to prevent groupthink this time around, and ultimately launched a new tool for her company’s too-many-to-count number of customers. Could someone read it and say “gee, I guess she’s not a natural leader because she didn’t speak up in the first place”? Maybe. But that’s not likely once they read about how she reflected upon her actions, how she wished she’d acted, and what that taught her about herself and how she needed to grow and develop. Then the “come from behind” win as well as the way she empowered her team was the icing on the cake demonstrating that not only was she able to personally grow, but she was able to start making an impact by learning fast and being thoughtful in her decisions. That’s leadership potential friends. And that’s exactly the type of personality that admissions directors are looking for. In case you’re wondering, she got into her top two choices – Kellogg and Haas – even though her test scores were quite a bit below the average for those two schools. My guess is that it came down to her essays (as it often does), and she nailed it by painting a vivid picture of herself as a leader through a mix of touting accolades and being honest and vulnerable in admitting challenges and growth areas. Asking for help is a good thing. Hopefully you all know this, but admitting that you needed or asked for help is a really important thing to show the adcom that you know how to do (because that’s what you’ll do in b-school all the time). It’s ok, and actually great, to talk about when you needed help and how you sought it out. Seemingly solving all of your own problems all the time will come across as inauthentic and robotic. Vulnerability builds trust. When you never admit you’re human, it’s hard for people to relate to you. And the MBA evaluation process is conducted by real, live people who are looking to see whether or not you can build relationships with other people. Take off your armor. Being a real person with a low ego is the archetype of someone oozing with confidence and fearlessness. Be thoughtful about how you describe yourself, but don’t try so hard to seem perfect. As long as you can talk about how you’re constantly learning and growing, you’re going in the right direction. I am absolutely not telling you to focus your application on weaknesses. Please read that again. The takeaway here is to look to your actual strengths, weaknesses, and opportunities in order to present an accurate, human and inspiring picture of yourself as a fabulous classmate and visionary future business leader! Don’t hide from yourself so much – some of your low points may actually be the things that took you from good to great! We major in helping people go through the self-analysis and reflection process to get to the very best stories for their MBA applications. Request an initial consultation if you want a thought partner as you establish your application strategy this year! The post Want to Show That You’re a Leader? Try Being Vulnerable appeared first on Vantage Point MBA. It’s not “we” it’s “me”. For the ladies out there, repeat that one again to yourself. For a large portion of the women I work with each year who are applying to the top MBA programs, at some point in the process we talk about the “W”: not win, not woman, “we”. Women, much more so than men, tend to feel uncomfortable taking credit for the amazing things that they do without feeling bad about it. I didn’t come-up with this: it’s is a well-researched topic that many only think about in the context of getting to your next promotion (or taking leadership classes in b-school). But as someone who specializes in helping people sell themselves to the most competitive business schools in the world, please let me tell you that taking credit for how awesome you are is very much a part of your MBA applications as well. I know that some men have the challenge of being overly humble too, so please read on if this is you. But since it’s much more prevalent for women, I’m going to focus on the ladies for this article. As research, career coaches, and management professors all say, it may be uncomfortable at first, and even unnatural, but you just have to do it. If you don’t talk about how great you are, why would anyone else? You can be almost 100% certain that the admissions committee is not going to get a bunch of letters from people who work with you praising how incredible you are and how, in fact, you are the person who drives productivity in the office but are too humble to admit it. And the idea that the admissions committee will read between the lines and put together the fact that you were actually the one doing all of the work is also an attempt in vain. They are skimming your application – if you don’t tell them directly, they will likely not get it. Being humble is great – just not to a fault. And it would be a fault to be overly humble when applying to business school. Here’s why it matters for your MBA applications: top schools estimate that over 75% of applicants are qualified on paper. But we know that the average acceptance rate for the top 10 schools is only 16%. So, competition is already fierce. And a huge percentage of applicants, men, don’t tend to the struggle with the “we” issue as much as women. So if you want to be assessed based on your merits, you need to be upfront about them. Here’s an example: last year I reviewed two sets of first draft essays around the same time of the application cycle – one for a man and one for a woman. Both applicants worked for large tech companies, both had impressive scores, and both of them had progressed at a good clip throughout their careers. The guy’s essay launched into a story about how he’d “led the redesign of the company’s consumer-facing ordering system”. It was truly an impressive story. For him I had to ask if he had, as his essays suggested, actually developed and led the entire thing by himself. The answer was no – he was part of a team and we discussed how to integrate that into his stories without diluting his contribution to the project’s strategy and direction. The woman I was working with had also done some really cool things – she’d actually fixed and relaunched one of the company’s orphaned product lines. But interestingly, her stories read like this “we iterated on a variety of different solutions until we found the exact formula” or “we presented the idea to management and were proud when we were approved to move forward”. For her, I asked “who is we?” In fact, there wasn’t much of a “we” after all. She was in charge of the whole thing, she conducted all of the consumer testing, and she was the only full time dedicated team member focused on that project. She had some cross-functional collaborators and some vendors helping with the execution, but in general, the “we” was “she”. So ladies, if this sounds familiar, know that you’re like many talented, successful, amazing MBA women, but also know that it’s time to start overcoming that natural gravitational pull towards using the word “we” when in fact, you should be using “I” or “me”. Your MBA applications are a great place to practice self promotion balanced with tact, grace and of course also giving credit where it’s due. If this article hits home for you, I probably don’t need to say this, but don’t go overboard and tack the other direction completely. It’s important to show that you have a high level of maturity, team skills and emotional intelligence. Confidence means being comfortable acknowledging how great you are as well as being confident enough to acknowledge when someone else is great. The goal is to highlight your accomplishments and give the admissions committee enough data points to accurately assess your leadership potential, not to force yourself to sound self-absorbed or cocky. The surest way to keep this in check is simply to have other people review your essays at various stages and give you feedback. If it sounds awkward, or not like you, then rewrite until it does. And finally, if in doubt, don’t forget that you can also use strong but gracious action verbs like “co-led, co-managed, co-developed” etc. If you led an aspect of a project, talk about that. But if you truly partnered with someone else on all aspects of leading it, acknowledge that too. If you stepped up to the plate and really made an impact, make sure that’s reflected in the way you talk about it. As an all-female MBA team, we know a thing or two about how this goes. Reach out if you’re wondering how to balance the “we” and “me” in your applications! The post For the Ladies: it’s Not “We”, it’s “Me” for Your MBA Applications appeared first on Vantage Point MBA.